New Zealand’s domestic politics have been transformed by the 2017 general election. But the same can’t be assumed for its foreign and defence policies. Not even growing talk of war on the Korean peninsula could puncture the campaign’s relentlessly internal focus. Incoming prime minister Jacinda Ardern’s central message is economic security for all New Zealanders. That means housing, health and education rather than New Zealand’s place in the world. But New Zealand’s international settings will be affected by some of the priorities shared by Ardern’s Labour Party and its two partners. The climate change portfolio goes to the Greens in a confidence and supply arrangement. But that issue was also part of Ardern’s campaign theme tune. Internationally, she will want New Zealand to be a climate change mover rather than a quiet follower. That will help Wellington’s profile in the South Pacific, but could highlight policy gaps with Canberra. The second area is immigration. Ardern has telegraphed significant restrictions, which Labour suggests will take the pressure off housing and infrastructure. 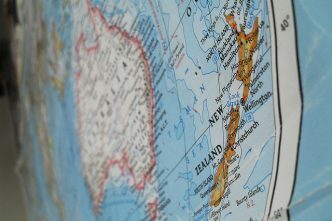 But, especially given New Zealand First’s xenophobic tendencies, the new prime minister needs to show that New Zealand isn’t turning its back on globalisation. That raises a third issue. None of the three parties gaining ministerial positions is an unconditional advocate of the Trans-Pacific Partnership (TPP). But Labour’s doubts have always been softer. After all, Helen Clark was prime minister when New Zealand joined Singapore, Brunei and Chile in the four-country free trade area which led to the TPP. At next month’s APEC summit, Ardern will try to make it more difficult under the TPP for overseas investors to purchase New Zealand properties. But she wants New Zealand to remain inside the 11-member tent. Winston Peters, the new government’s foreign minister, seems unlikely to rock the boat on that score. He may have been the kingmaker who decided that Ardern would replace Bill English as New Zealand’s leader. But Peters is also a force for foreign-policy continuity. When he held the same portfolio during Helen’s Clark premiership, Peters supported New Zealand’s warming relations with the United States and won additional funding for the Ministry of Foreign Affairs and Trade, which was whittled back when the National Party came into office. Peters knows from experience that a Labour-led foreign policy brings stronger tones on disarmament, development and multilateral diplomacy, and claims ownership of the idea of New Zealand’s independent foreign policy. These are hardly radical breaks from National’s term in office. But they will be an even harder sell in a world that has become more pessimistic about international cooperation. In that troubled world, an Ardern-led New Zealand will be looking to line up with the likes of Angela Merkel and Justin Trudeau. We will see less emphasis, at least publicly, on New Zealand’s Five Eyes connections. Yet New Zealand will continue identifying Australia as its most important partner. That will be easiest in respect of common interests in the South Pacific. 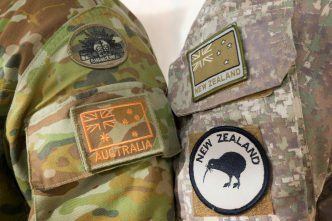 But it may be harder further afield: in 2015 Labour opposed the Key government’s commitment of NZ Defence Force personnel to the training mission in Iraq under Australia’s leadership. Especially with the Greens on board, an Ardern government is less likely than National to extend New Zealand’s participation there. And instead of further small additions to New Zealand’s modest military presence in Afghanistan, the new government may prefer to offer more humanitarian assistance. That caution might not be the natural disposition for Ron Mark, a New Zealand First colleague of Peters who is the new defence minister. A former soldier who has questioned past force-structure choices, including those made by Labour, Mark will find Defence looking at some crucial long-term investment decisions. Quite what the Labour – NZ First coalition agreement means by a commitment to ‘re-examine the Defence procurement programme within the context of the 2016 Defence Capability Plan budget’ may soon play out. But before anyone in Canberra gets excited by Mark’s suggestion that New Zealand’s defence spending be doubled, the reality of coalition politics under Ardern’s leadership needs to be factored in. 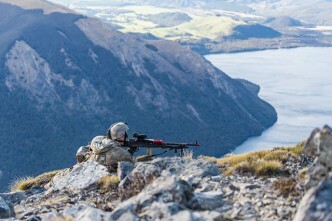 Defence will not be automatically protected if and when New Zealand’s economic and budgetary positions soften. 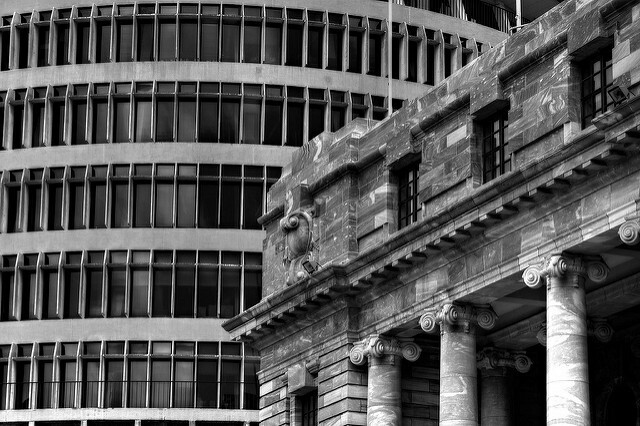 The Peters and Mark appointments give New Zealand’s populist party real influence in Cabinet’s National Security Committee. Two of Labour’s foreign-policy heavyweights, Phil Goff and David Shearer, have recently left parliament. 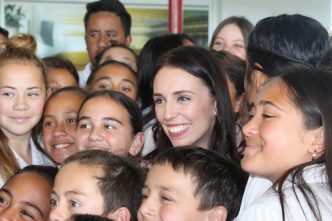 So at a time when she wants to create new housing stock and clean up New Zealand’s rivers, Ardern will need to be a very close student of external policy issues at a time of significant global flux. Wellington will encounter that problem in an Asia–Pacific region which is being exposed to China’s confidence under Xi Jinping just as America loses its sure footing under Donald Trump. Ardern will continue New Zealand’s preference for good relations with both big players. In its regional interactions, Labour’s instincts amplify the natural tendency to talk up New Zealand’s multilateral engagement. But in today’s contest, the ASEAN-centred regional forums and the Five Power Defence Arrangements can only do so much. Under National, Wellington was beginning to strengthen some of its bilateral connections in East Asia, including with Singapore and Japan. It’s unclear how or whether that will continue under an Ardern government. But one thing seems certain. 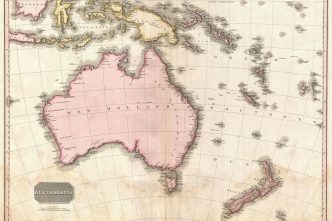 While New Zealand and Australia may not see the wider region through the same lens, Canberra will find Wellington relying just as much on the trans-Tasman relationship as before. That may limit Ardern’s willingness to push issues that can trouble New Zealanders but that are strategically less significant in wider terms. And it will be in the interests of both sides to ensure that any bilateral misunderstandings quickly become yesterday’s news. Robert Ayson is professor of Strategic Studies at Victoria University of Wellington and adjunct professor with the Australian National University’s Strategic and Defence Studies Centre. Image courtesy of Flickr user FraserElliot.